Transportation Costs > How Much Does a Car Extended Warranty Cost? How Much Does a Car Extended Warranty Cost? A car extended warranty is an additional warranty purchased by car owners to further provide coverage to the vehicle. Most of the time, an extended warranty offers the same type of coverage as the original warranty the vehicle came with, sometimes more. The cost of an extended warranty will depend on so many factors such as the car’s make and model, the number of miles on the vehicle, the condition, the deductible you choose, what you want to be covered and the company offering the warranty. In general, the lower the mileage and newer the car is, the more you’re going to be able to save. To budget, a good car extended warranty from a reputable company will cost anywhere from $350 to $800 per year or about $750 to $4,500+ as a one-time payment. Payment can either be paid in full, monthly or tied in with your auto loan. For example, we contacted some of the most popular third-party warranty companies on the Internet and were able to come up with the following quotes listed in the table below. For our sample, we asked for a quote for a 2014 Toyota Carolla with about 45,000 miles in Phoenix, Arizona. We chose the most basic plan possible and had minimal coverage. Again, the prices will greatly vary depending on the factors mentioned above. We also did some research online seeing what most brand name warranties cost by visiting dealership pages and forums where people discussed what they were charged. 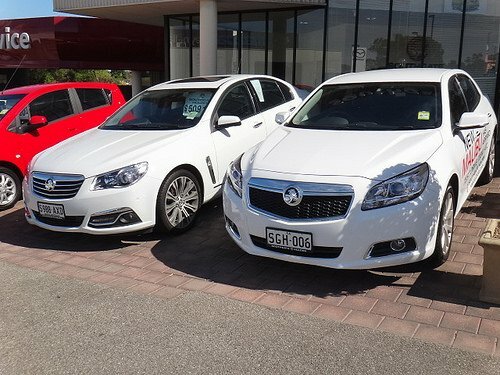 Extended warranties are available for both new and used cars and will be marketed as an additional layer of security, reducing the risk of repairs in the future. Most warranties, regardless of where they are purchased, will offer more than one plan option and each plan will have its own exclusions and inclusions, so it’s important to read the fine print closely to know exactly what’s going to be covered. The plans can range from a simple comprehensive bumper-to-bumper plan to something as simple as focusing on one area such as the powertrain. For example, some plans won’t cover any in-car technology options, while a premium package will. Depending on the policy you choose, the length can last from as little as two years to as long as 10. Basic policy options, as stated above, may only cover certain parts with restrictions, while a premium policy may cover everything, including the technology gadgets inside. Most companies are able to offer coverage in all 50 states. All car warranties will differ when it comes to the deductible. Depending on the company and/or car brand, this deductible can range anywhere from as little as $50 to more than $150. Additional riders such as tow truck assistance and rental car insurance can be an additional cost. If the company allows a transfer to a new owner, a small $50~ transfer fee may apply. Before purchasing an extended warranty, know which parts are going to be covered. Closely examine the coverage explanation and check for any limitations. If you have any questions, it’s always best to talk with the company directly to be sure. If in doubt, always get it in writing. Don’t buy under pressure. If the dealer is asking you if you would like to purchase the warranty, simply let them know you want to think about it. A reputable dealer will respect this and will let you do your own research at home. Remember, you can always add this warranty at any time. If the car is sold or transferred in the future, see if you’re able to transfer the warranty with it. If not, what happens? Be careful with any modifications as this can often avoid the warranty if not approved. The same can be said for those who don’t maintain their car. If you drive a used car, it doesn’t mean you won’t be approved since warranty companies will have eligibility requirements. This could include a year and/or mileage cutoff. Most companies won’t offer coverage to cars with more than 150,000 miles. If you have a preferred mechanic, they may not be covered under your warranty and you may be subjected to using the mechanic the warranty company recommends. Always make sure the company you’re choosing is licensed with the Department of Insurance. If the company isn’t insured, you risk losing your initial investment if the company were to go under. Always research the insurance company online to see what other people are saying. Do they have any BBB complaints? How are the reviews on Yelp? Pay close attention to both the good and the bad and try your best to make an informed decision. When purchasing a new car, the dealer will more than likely push an extended warranty to purchase along with your car. Consumer Reports say the odds of you using this warranty is slim to none and the money you save in the future won’t even come close to what you invest at the time of your purchase. A recent survey done by Consumer Reports said 55 percent of people who did purchase an extended warranty didn’t even use it. In that same report, it’s stated dealership and third party warranties often have a difference of only $100 or so. Don’t be afraid to bargain on the price these companies offer you. Most of those who haggle often can save close to $200 to $300. You don’t need to buy an extended warranty through a dealership. Consider checking with your insurance company or looking online at various third party warranty companies. Pay close attention to the options included in your warranty and see if you really need them. Taking some of these options off the policy can often lower the price.